Conversion Properties, Inc. was founded in 2006 to serve the real estate needs of the Southeast Region. Leveraging the founder’s vast experience in Downtown Knoxville, Conversion began with a concentration in brokerage and redevelopment and quickly expanded within the East Tennessee Region. The team today concentrates on four key areas of real estate: Brokerage, Development, Property Management, and Consulting predominantly in the commercial arena. Designed to be a true service company, the needs of the client come first. We take pride in advising, guiding and obtaining results in the time frame each client desires. Our founder, Joe Petre, states, “Our core value is creating value.” Whether it is within the realm of brokerage, development, management, or consulting our priority remains the same: to serve each client to ensure their investment works. Joe started his commercial real estate career in 1991 with Wood Properties, Inc. a regional commercial brokerage firm. In 2000, Joe joined Lawler-Wood, LLC, a development firm where he leased and managed large Class A office properties in the downtown Knoxville market, worked with the facility management and affordable housing divisions, and in higher education development. In 2006, Joe founded Conversion Properties, Inc., a full service real estate firm concentrating on commercial sales and leasing, development, property management and consulting. Joe manages the firm while he continues to work in several areas of commercial real estate and concentrating on large investment properties and development projects. His brokerage work in the Downtown Knoxville market is unmatched. Joe has a B.S. Degree in Business Administration from the University of Tennessee. Community service is a high priority and he has served on many boards and committees in the Knoxville area such as: Knoxville Mayor’s Business Advisory Council, Legacy Parks Foundation (Chair), Helen Ross McNabb Center, Covenant Health Foundation, Knox Area Chamber Partnership (Executive Committee), Knoxville Central Business Improvement District (Chair), Knoxville Mayor’s Downtown Task Force, Knoxville Downtown Design Guidelines Committee, Knoxville Downtown Design Review Board, Knoxville Habitat for Humanity (President), and several others. Joe and his wife, Alison, have three children. Daniel Odle serves as Vice President with Conversion Properties, Inc. He is an Affiliate Broker, Development Manager, and directs the company’s Property Management Division. 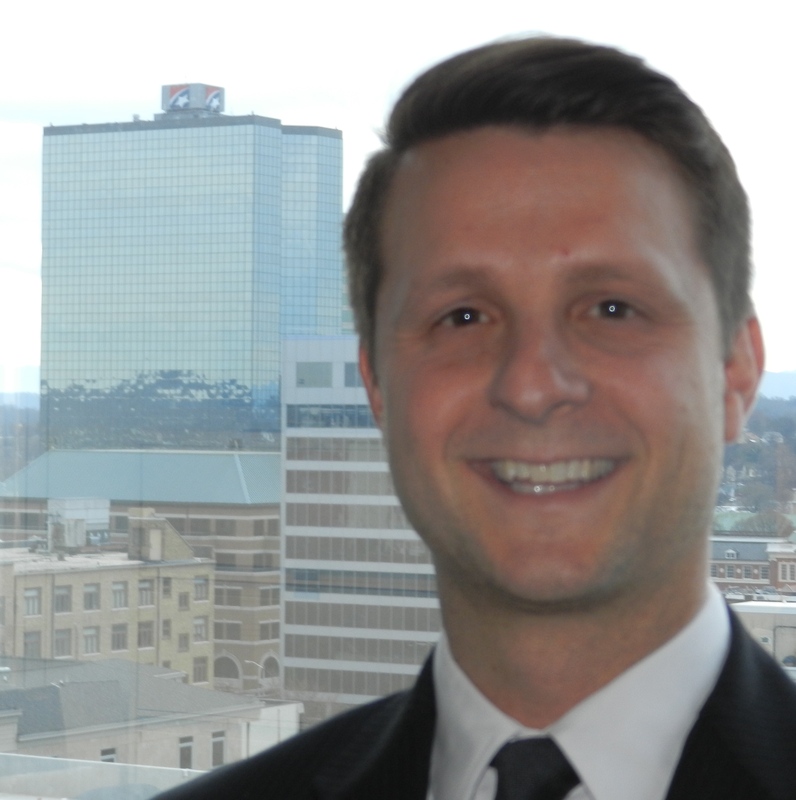 His work is primarily brokerage and development centered in Knoxville’s Downtown market. His work in brokerage is focused on the Development and Management of Real Estate Investment Portfolios for a small group of clients, and he works as a generalist within these core local markets. He has completed over $34 million in transactional volume of selling and leasing property in and around downtown Knoxville. In Development, he has overseen, or is currently responsible for, the construction of over $15 million in projects. Most of which have been the Historic Renovation of old buildings in Knoxville’s downtown core. His responsibilities include project and team development, generating and maintaining budgets, negotiating contracts, overseeing project legal matters, development and oversight of project scheduling, reviewing submittals/pay applications, development and execution of Historic Tax Credit Acquisition and Partnerships, and coordinating project closeouts. After graduating in 2005 from the University of Tennessee with a Bachelor of Arts in Geography, Daniel went to work for a local contractor. He began his career in commercial real estate with Conversion Properties, Inc. in 2007. He has continued to serve with this company since that time. He was appointed to the Board of Zoning Appeals for the City of Knoxville in 2015, and is currently serving in this capacity. Daniel currently resides in Downtown Knoxville. He is active in the community, and is a member of All Soul’s Church. Courtland Cobble started his Commercial Real Estate career with Conversion Properties in May of 2008. His areas of focus have been office sales and leases, investment analysis, and specializing in marina and campground sales. Court has represented all parties in these transactions. He has also represented several banks in disposing and evaluating recovered properties. Court has an extensive knowledge of the local and regional markets, and is dedicated to making sure his clients receive the most up to date and accurate information. Court is a native of Knoxville and a graduate of Farragut High School. He has his Bachelors in Business Administration from Mercer University in Macon, GA. Before moving back to Knoxville, Court was Director of Marketing and Sales for Synkronus, Inc. an Atlanta based Internet Service Provider. His focus was client acquisition and retention through nurturing new and existing relationships. Court is a member of the Rotary Club of West Knoxville, as well as being involved with Blount County and West Knox Chamber of Commerce. Court sat on the Knoxville Area Association of Realtors’ Grievance Committee and Governmental Affairs Committee. He has also been involved with Knoxville Young Life and Knox Area Rescue Ministries (KARM). Court resides in the Rocky Hill community with his wife, Marie, and two sons. Sam Harrell grew up in Murfreesboro Tennessee. He came to Knoxville in 2012 to attend the University of Tennessee. Sam graduated with a B.A. in Communication Studies. Throughout his time in Knoxville he volunteered as a Young Life leader and continues to do so. Sam and his wife Hannah share the same birthday and are happy to call Knoxville their home. Allie is a Sales Assistant for Conversion Properties and has been a licensed affiliate broker since 2006. She assists in the sales and marketing efforts for the company’s commercial brokerage and development projects, including the new downtown Regas Square project. She also manages the company’s short-term rental properties in the downtown area. Allie graduated from the University of Tennessee with a B.S. Degree in Hospitality Management, and prior to joining Conversion Properties in 2016, she worked for CBRE as a Brokerage Assistant for almost 10 years in both the Nashville and Chicago markets. Krissy Key is the Bookkeeper/Administrator for Conversion Properties. After completing grade school at Christian Academy of Knoxville, she attended the University of Tennessee, graduating with a B.A. in Sociology with a concentration in Criminal Justice. Before joining Conversion Properties, Krissy worked with the Knoxville Police Department in multiple capacities including Police Explorer, Police Cadet and Police Officer. In 2014, Krissy left law enforcement and entered the administrative world as an Executive and Accounting Assistant for ABT Molecular Imaging, Inc.
Krissy is very active with her church and enjoys spending time with her Pomeranian Cali. Robert is a Knoxville native, a graduate of the Webb School of Knoxville and of the University of Tennessee, where he majored in Theatre and English. He spent the first part of his career working in various communication and fundraising roles for small nonprofits, one very large church, and a collaboration between the City of Knoxville and Knox County addressing the issue of homelessness. Robert began working in technology sales after that, which he pursued until October of 2018, when he got his real estate license and came to work as a commercial broker here at Conversion Properties. Originally from the West Coast, having grown up in Southern California, Jennifer also spent 13 years in Las Vegas Nevada before she and her family made the move to Knoxville. That was nearly 8 years ago and they couldn’t be happier living in Tennessee. Recently Jennifer and her husband Geoff moved from Farragut to downtown Knoxville, which has been an amazing, fun and exciting experience for them. Jennifer has enjoyed watching the downtown grow, seeing the transformation of old buildings come to life along with the new going up. As an entrepreneur, Jennifer has been fortunate enough to become accomplished in several industries and markets over the years that prepared her for obtaining her real estate license. Having worked as a mortgage professional in Las Vegas, Jennifer has been involved in thousands of real estate transactions, remodeling, designing and building homes. Whether listing or buying, Jennifer is in her element finding herself understanding her client’s dreams. Jennifer is at her most passionate place, allowing herself to help perspective clients meet their goals.